A great roundup for you to end this steamy July week. 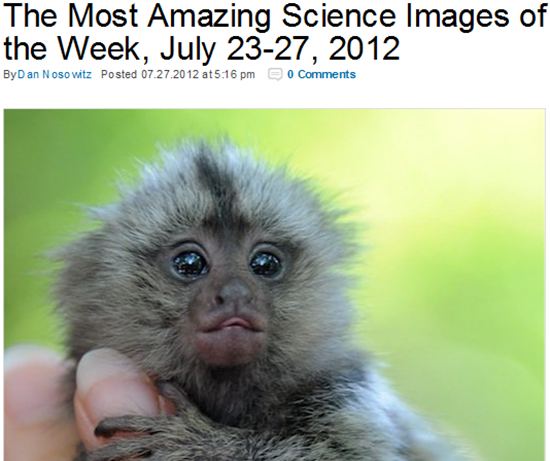 We've got this tiny monkey, plus the world's oldest orangutan. There's awe-inspiring space pics and sassy tech infographics. It's all inside. Enjoy!